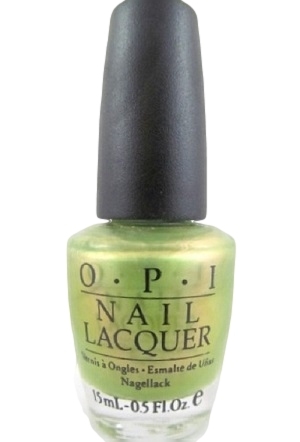 OPI Nail Polish, Electric Eel, NLB42, .50 fl. oz. Semi-sheer light green shimmer nail color with a duo chrome effect that shifts to gold and orange.